Movies, social media, and television have set impossibly high standards and principles on what a perfect relationship should be like. Then there are also family, friends, and of course, firsthand experiences that may influence you. 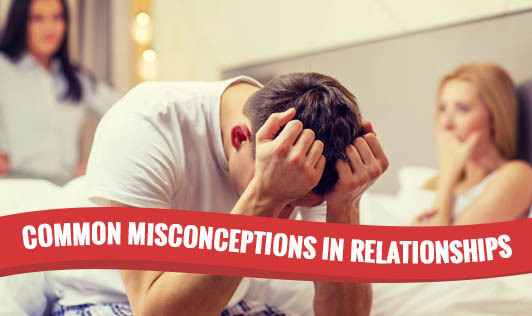 But, with access to all the information (most of it being misleading), you may set yourself up for failure even before trying hard to save your relationship. 1. A relationship comes from finding a partner who is just like you: You and your partner are entirely different people. Appreciate your differences and know that a relationship is far more enjoyable when you're with someone who enhances your life, not just mirror it. 3. Couples who stay together stick together: It is alright to not have common interests and activities. Don’t force yourself to engage in common activities, as it may only result in stress, tension, and conflict. Don't drift away from the main premise of an argument and instead question your partner’s integrity. ·Don't keep arguing just because you find it stimulating. ·Don't practice a merciless approach in your arguments. ·Don't avoid achieving emotional closure at the end of an argument. 5. A good relationship lets you speak your mind at all times: Being able to speak frankly might feel good, but think before you do so. What you may say on impulse may end up causing problems in your relationship. 6. A relationship requires romance: Of course your relationship should have romance and passion, but don't expect a fairytale. A good relationship ages well, just like good wine! It will go through the common phases of infatuation, passion, and eventually settle into a deeper, more secure love. 7. You can change your partner: Believing that you could change your partner’s habits/behaviors and thus make your relationship better is the most unrealistic expectation one could have. Not finding the happiness you’re looking for could also mean that the problem could be with you rather than your partner. You need to recognize the result you are seeking and mutually work towards them. Remember: There is no relationship rulebook. There are no set guidelines or rules for being the perfect spouse, parent, or to handle any relationship challenge that life throws at you. It is best to keep doing what works for you and your spouse. If you’re doing it right, your actions will definitely generate the results you want!